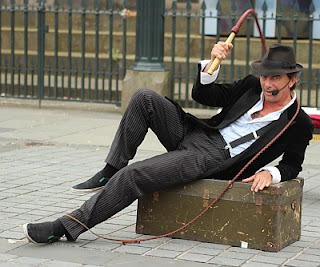 Edinburgh at any time of the year is always a busy place but during the month of August it is especially busy as it is the month when the International Festival, Fringe and Military Tattoo are held. 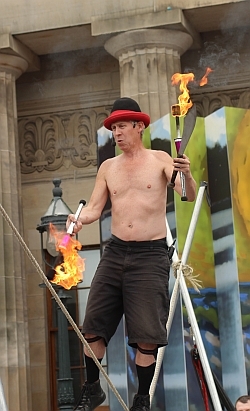 Many of the events are held indoors, but the area around the Mound, just off Princes Street, is where the street performers can be found entertaining the public. 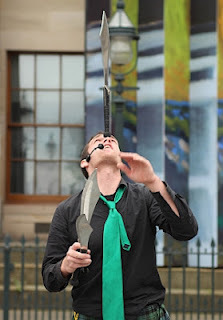 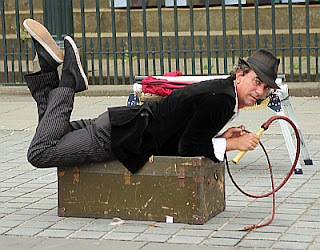 I recently went to Edinburgh to have a look around and get a few pictures of these street performers. In the above photograph the assistant on the left is retired footballer John Collins who played for Hibernian, Celtic, Monaco, Everton, Fulham and Scotland. 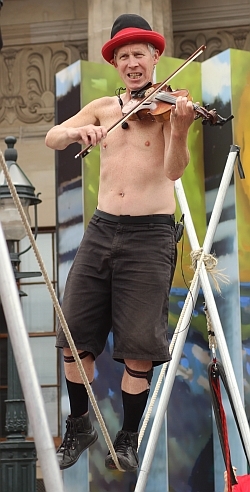 Another artist was walking a tightrope playing a violin and flame-throwing. A young woman was very acrobatic and could twist her body into different poses. 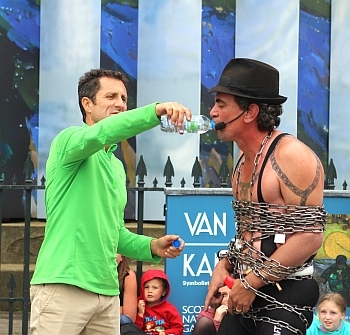 Another artist was also performing a Houdini act. 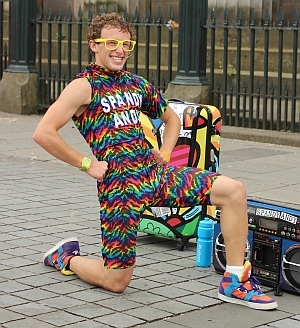 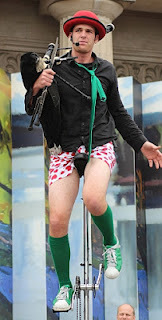 Other artists were Spandy Andy who was packing up as we arrived so we can only imagine what his act was all about. 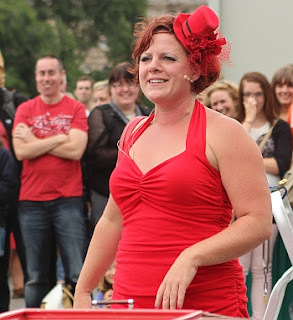 And another lady in a red dress who was entertaining the crowds. Most of the street actors depend on donations from the public so it is expected for people to give to the acts which they enjoyed. All the acts were very good - we would have stayed longer but the rain came and it was decided to pack up for the day.